Car insurance is something that adds to the cost component of a car one loves to drive. This is something that haunts every car aspirant to think twice before making any purchase. However in most of the cases the cost of fuel is more dominant over insurance in terms of cost involvement. According to experts small cars although consume less on fuel but are more prone to accidents thereby adding to the cost of insurance premium. Thus it may be good to avoid traffic but on the contrary it adds up to the risk factor to a great extent. Most people end up paying a big sum of insurance premium for their car. This can be easily avoided if you pick the right car. Some cars with same features will cost you much less insurance premium. 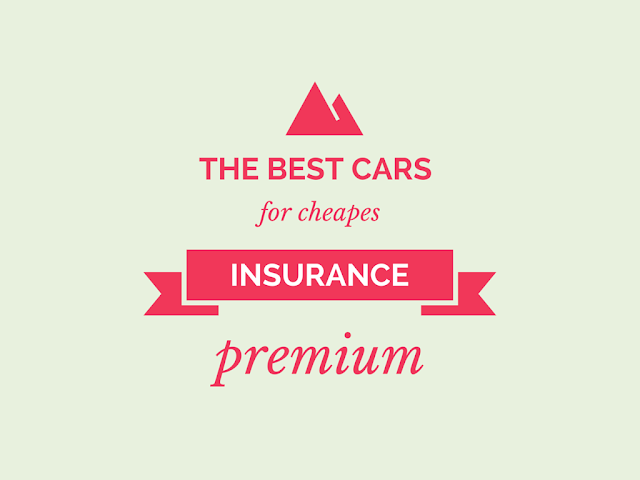 The below listed cars will list lowest insurance premium when you compare car insurance prices. This car ranks second in the list of cheapest cars to insure. Honda Odyssey LX has a 3.5 liter powerful V6 engine that bestows an amazing power of 248 hp and a torque of 250 lb-ft. With such a capability the vehicle promises for 19 MPG in city while giving away 28 MPG on highway. It is unlike some mundane minivan as its power speaks away everything. With power under hood while staying low on insurance costs makes it quite a popular choice for car enthusiasts. This is another great vehicle from Jeep that is both cheap to buy as well as to insure. It is equipped with 2.0 liter engine and outputs 158 hp along with 141 lb-ft of torque. In terms of engine specification it is similar to Compass sport. In terms of fuel economy Jeep Patriot sport is faithful like anything as it offers an unbelievable mileage of 23 MPG in city and 30 MPG on highway. This is a great offer from the house of Honda automobiles as it is more like a preference seen among car enthusiasts to be more biased about Honda. It’s fourth in the list of cheapest cars to insure. It is equipped with a powerful 2.4 liter engine that delivers 185 hp of amazing power along with 163 lb-ft of torque. In terms of mileage it offers around 23 MPG in city and 31 MPG on highway. It is a brand that is recognized by people for reliability and dependability. It is another variant from Jeep that ranks 5th in the list of cheapest cars to insure. It comes with a 2.0 liter engine that produces an amazing thrust of 158 hp along with 141 lb-ft of torque. It is popular among people for its price that makes it affordable among several car enthusiasts. In terms of mileage it delivers an amazing mileage of 23 MPG in city while giving away an unbelievable 30 MPG on highway. This is a great vehicle often preferred by people for touring and making visits in places together with family. It is considered to be a sibling of Grand caravan that is quite popular among people for its travel convenience. Town & Country has a 3.6 liter V6 engine that produces a torque of 260 lb-ft and amazing power of 283 hp. It delivers around 17 MPG in city and 25 MPG on highway. This is a valuable addition to the list of cheapest cars to insure. It comes with 2.5 liter Boxer engine that offers an amazing power of 173 hp and a torque of 174 lb-ft. There are several vehicles that are similar to Outback variety but when it comes to mileage it outruns all by offering an amazing mileage of 24 MPG in city and around 30 MPG on the highway. In terms of associated maintenance and price, it’s an excellent vehicle. It is an average ranked vehicle in terms of highway performance and occupies 8th rank in the list of cheapest cars to insure. It comes with a 2.4 liter engine that delivers an amazing power of 173 hp and a torque of 166 lb-ft. In terms of mileage it stands inferior to Honda Odyssey as it offers a highway mileage of 26 MPG that is worst among the similar vehicle categories and a similar mileage of 19 MPG in city driving. This is a vehicle in the minivan category that ranks 9th among the cheapest cars to insure. It comes with a powerful 3.5 liter V6 engine that delivers amazing power of 248 hp and a torque of 250 lb-ft. Viewing the specifications it is compared less powerful than Pentastar V6. But in fuel efficiency, the vehicle offers an amazing mileage of 19 MPG in city and a highway mileage of 28 MPG on highway. This is quite an old variant that is still in role in market as it is backed by preference of people. It is equipped with a 3.6 liter V6 engine similar to that in Pentastar and that delivers an amazing power of 283 hp along with a torque of 260 lb-ft. In terms of fuel efficiency it is not so competent enough as it offers a city mileage of 17 MPG and a mileage of 25 MPG on highway. With such a poor mileage it is sure to add on cost that is saved on insurance premiums. This is another great vehicle in the crossover category. It is equipped with a 3.4 liter V6 engine that produces an amazing power of 185 hp along with 5200 rpm. It is a front wheel drive vehicle. In terms of fuel efficiency it is not so impressive while delivering an average mileage of 19 MPG in city and 26 MPG on the highway. It’s a value for price as the beautiful interiors gives strong competition to other vehicles in the category that are priced higher in both ways. This is a popular 2-seater in the sports car variety from Pontiac. The convertible look adds to its style when it comes to something driving at high speeds. It is equipped with a 2.4 liter engine and has five- speed transmission. In terms of acceleration the vehicle reaches 0-60mph in just 5.5 sec. Thus at such high speeds the fuel efficiency is not considered as it is made to race rather than just driving on some busy road. This is a popular minivan as marketed by GM. It has a powerful 3.5 liter V6 engine that delivers 200 hp of power and a torque of 220lb-ft. The overall engine capability is quite praiseworthy as it is able to reach 0-60 mph in just 9 sec. The vehicle also qualifies for crash tests as needed to determine vehicle safety in terms of highway safety. The car offers a mileage of 19 MPG in city and around 25 MPG on highways. This is one of the favorite light weight two - seater cars as manufactured by Mazda automobiles. It comes with a 2.0 liter engine that drives to produce a significant power of 116 bhp and a torque of 100 lb-ft. It is equipped with 5 speed transmission operated manually. The engine is quite powerful as it is able to reach 0-60 mph in just 8.1 sec. It is meant to be worth racing instead of using it as a regular city vehicle. Ford vehicles are popular among automobile enthusiasts for its power that gives the feeling of riding on a racehorse. Ford five hundred is equipped with a 3.0 liter V6 engine that produces about 203 horsepower enough to give it a fair push. It is liked by people for its driving comfort and handling even at high speeds. It offers a decent city mileage of 19 MPG while giving away 26 MPG on highway. Volvo V70 is a popular category in terms of mid- sized cars as manufactured by the Swedish maker. However in course of time the design and appearance has undergone significant changes without compromising on safety aspect. V70 has a 3.2 liter engine that produces around 235 hp of tremendous power and a torque of 236 lb-ft. It is front wheel drive vehicle. The fuel efficiency figures are not as satisfactory as it provides around 26 MPG in city and around 32 MPG on highways. This is considered to be a luxurious addition from the house of Chrysler automobiles. The vehicle comes under minivan category. LWB has a powerful engine fitted to front wheel while delivering significant power of 283 bhp. It is a 7 - seater car that is capable of towing till 3600lbs. In terms of fuel efficiency the performance is average as it offers a mileage figure of 17 MPG in city while around 25 MPG on highways. Corvette is a racing brand owned by Chevrolet automobiles. It is quite a popular vehicle on race tracks and has been adjudged with the prestigious car of the year award for year 2014. It comes fitted with a LT 1 engine that is quite capable enough to reach 0-60 mph in 3.8 sec. The engine has a power of 460 hp to the front drive train with an amazing torque of 465 lb-ft. In addition to that the car offers 5 modes to select while driving on road for getting the best in class performance and experience. Wow!! Stunning performance from my car!! I am never going anywhere else! The most amazing mechanic I have ever had! And tires and rims in Santa Cruz service are remarkable!